It wasn’t until I moved away from the Northeast that I actually appreciated where I grew up. Yes, the winters can be brutally cold and the summers hot and humid, but a distinct culture and character set this region apart from its neighboring Midwest and Southeast. Some say the Northeast possesses a weak cultural identity altogether, but my answer to that would be, “Obviously, they weren’t born and raised in there!” A handful of towns in the Northeastern United States happen to be some of the most charming in the country. They offer burgeoning restaurant scenes, independent shops and galleries, well-maintained public parks, and superior quality of life. These small towns in the Northeast should be on your radar for a weekend away or an extended visit as they are some of my favorites. Situated in Lancaster County, Lititz was voted the “Coolest Small Town in America” in 2013 by Budget Travel, and it’s easy to understand why. Brimming with boutiques and eateries, Litiz has a bustling main street that attracts visitors from around the globe. In a nutshell, there’s something for everyone in this tiny town. Grab a brew and a burger at Bulls Head Tavern or sample locally-produced wines in the Stargazers tasting room. Shop until you drop at any of Lititz’s 50-plus stores, which sell arts and crafts, clothing, jewelry, and more. If you’re an animal lover, you won’t want to miss the Wolf Sanctuary of PA, an organization whose mission is to protect and provide care for displaced wolves and wolf dogs. And if history was your best subject in high school, add the Lititz Historical Foundation to your itinerary. Located in the heart of downtown, the house is open from Memorial Day through October. It’s no surprise that both could be included in the most charming small towns in the Northeast. 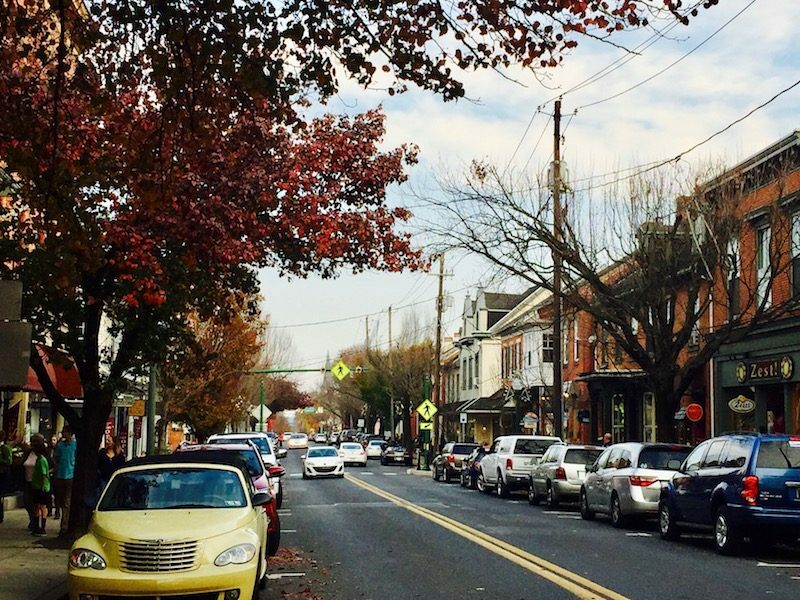 New Hope and Lambertville boast a bevy of eateries, galleries, and unique shopping spots. 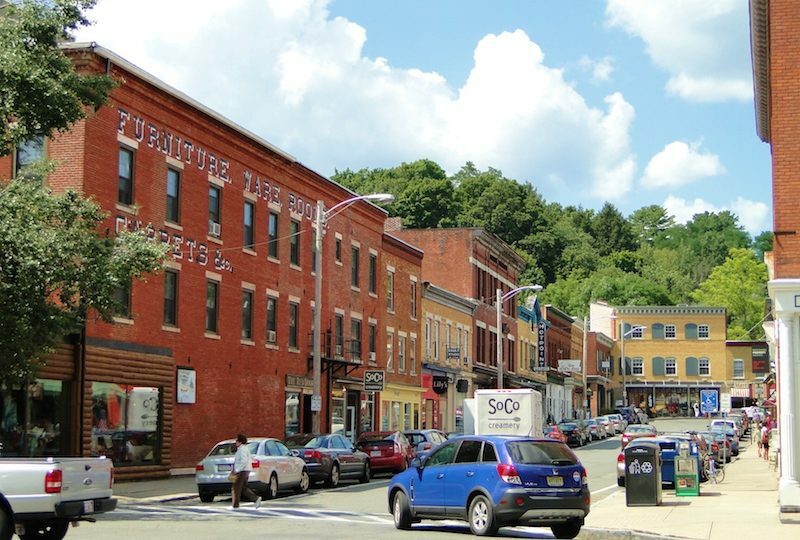 While New Hope is a hub for the off-beat and funky, Lambertville, known far and wide as an antique and design capital, is more upscale. These twin towns sit along the Delaware River and are minutes from each other via a walk over the New Hope-Lambertville Bridge. As a popular weekend destination – especially for travelers from Pennsylvania, New Jersey, and New York – they rival the culture and cuisine of larger cities without losing that small-town feel. Take Manon in Lambertville, for instance; this French mainstay has served up Provencal cuisine for several decades, yet remains cash only and BYOB. The food there is excellent and the service wonderfully warm and personal. Also, a must-try is Marsha Brown for a dose of Creole in New Hope. The extraordinary space – it’s an old stone church complete with soaring stained glass windows – as well as a down-to-earth staff – make dining here unforgettable. The East End of Long Island is one of New York State’s greatest treasures. Most often, vacationers read about the Hamptons, also called the South Fork, but Greenport is the pride of the North Fork. Think of this side of the island as the Hamptons’ more laid-back sibling, because you’ll encounter a mostly relaxed vibe, undeveloped farmland, a trail of more than 40 wineries, and in Greenport, a thriving main street. Although Greenport is far from undiscovered (in warm weather, the streets tend to get packed with visitors), the off-season doesn’t get nearly as crowded. Restaurants such as Noah’s and the Frisky Oyster and shops like Blue Duck Bakery and Gallery 429 are a mere sampling of what you should expect in Greenport. In the heart of the Berkshire Mountains in Western Massachusetts, this fabled country town is just a two-hour drive from Boston and a three-hour drive from New York City. 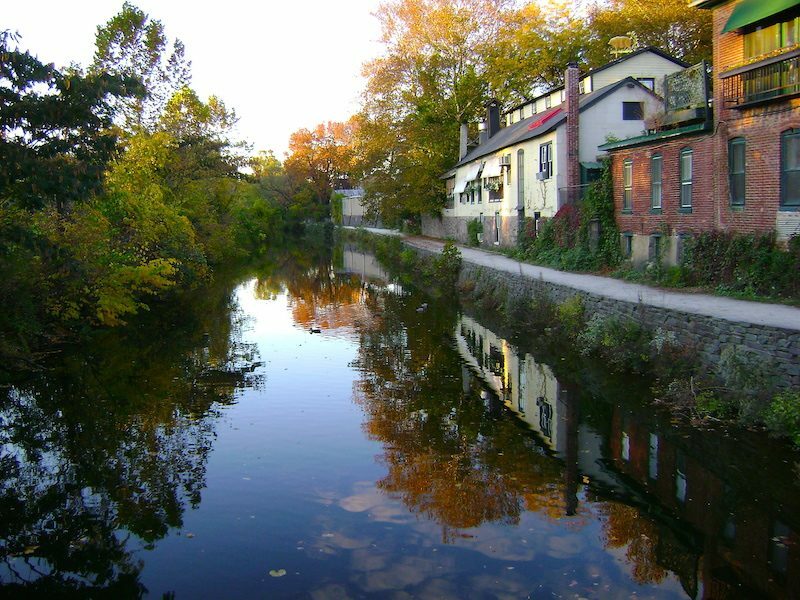 The bucolic setting makes Great Barrington a fabulous weekend getaway in spring, summer, fall, and winter. In other words, there’s no season to avoid visiting this slice of New England. The thriving downtown has become a food empire boasting dozens of restaurants and cafes, many of which you’ll find on Railroad Street. And, similar to Lititz, Great Barrington landed the #1 spot on the “Best 20 Small Towns in America” list in Smithsonian Magazine in 2012. That’s impressive. If you want to fall in love with Connecticut, Essex is a fine place to do it. 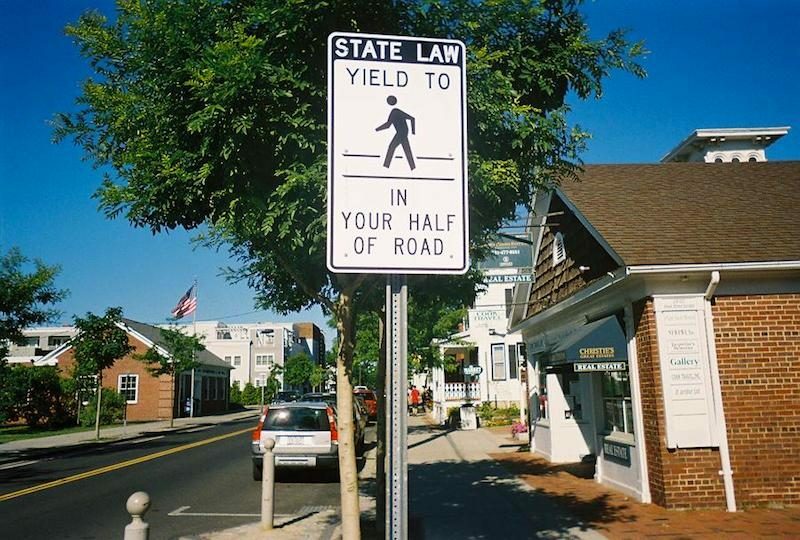 Sitting on the Connecticut River and close to the Long Island Sound, the town is comprised of three villages, Essex, Centerbrook, and Ivoryton. 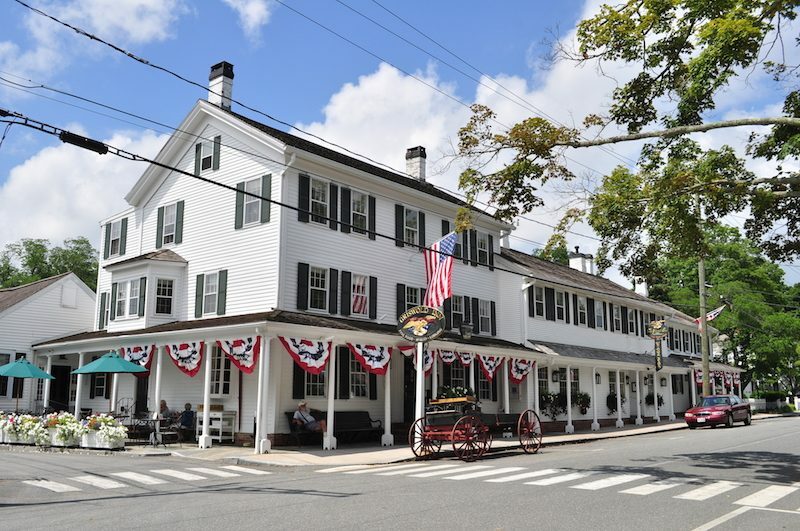 You’ll harken back to the 1700s when it was founded because Essex is a trove of period architecture (including the Griswold Inn, supposedly the oldest continuously operating inn in the country), an array of historical attractions, as well as some terrific restaurants and shops. Wander around the three villages whose coastal areas also happen to be destinations for boating and sailing. No matter what you do or don’t do in Essex, you quickly realize that the town is quintessential New England – quaint, scenic, and incredibly enchanting. Greenport photo by Dan TD. 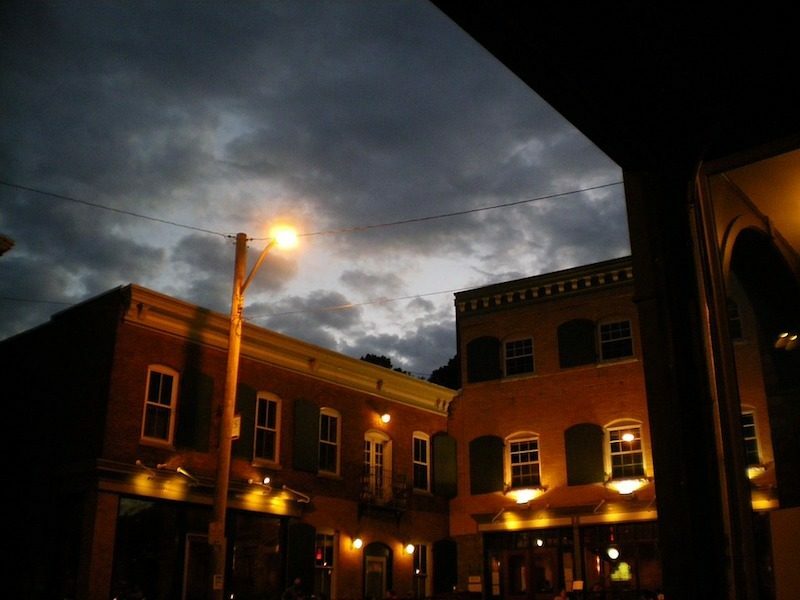 Great Barrington photo by Anc516. Griswold Inn photo by Joe Mabel. Also, travel photos that will make you want to book your next trip, and the North Fork of Long Island is all about food, wine, and sunsets.